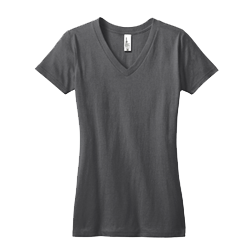 Show customers actual screen printed colors. 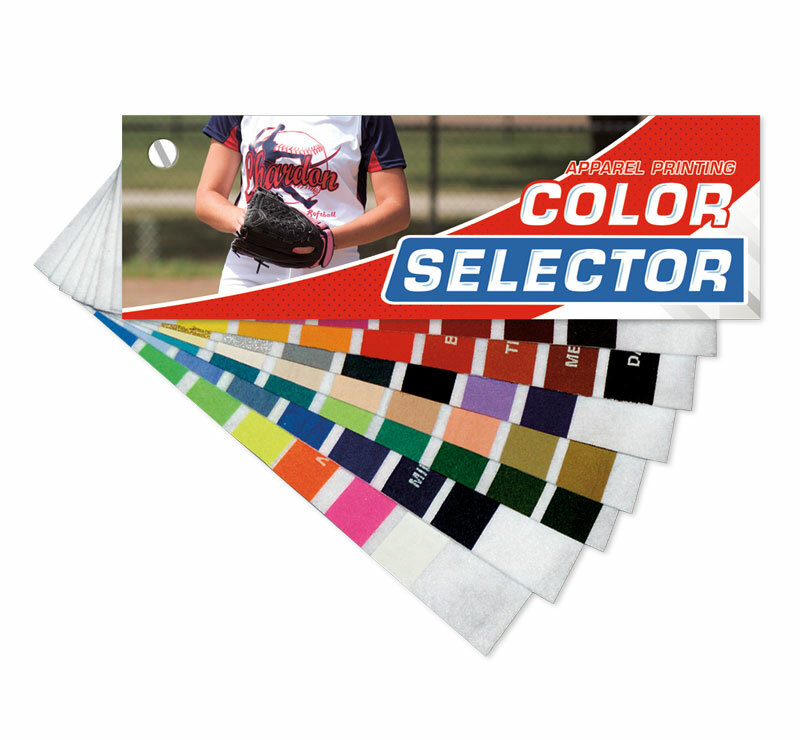 Recommend and help customers choose ink colors for screen printed transfers with the Apparel Printing Color Selector. 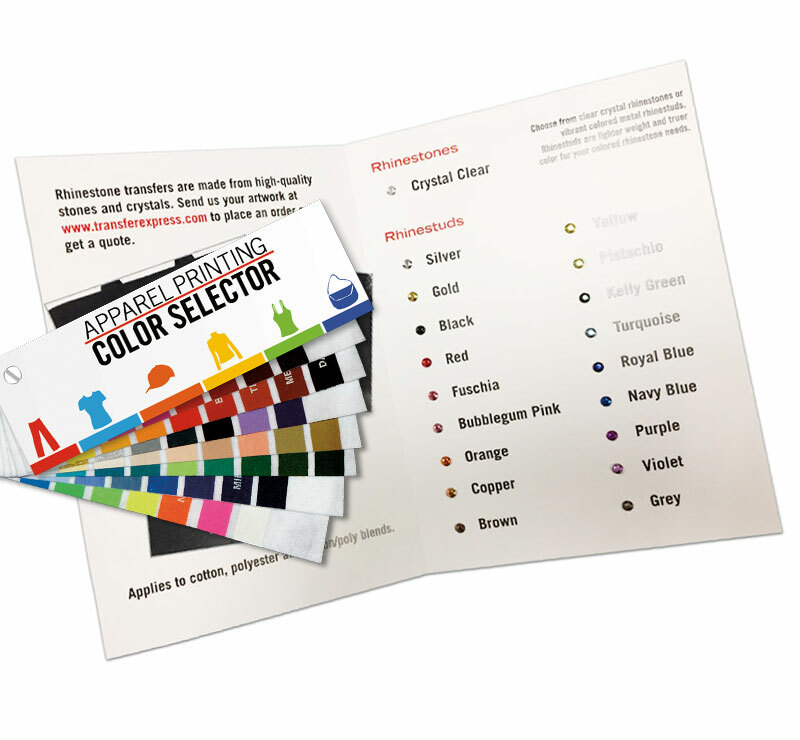 Complete with 70 stock colors listed in the Price Guide, this swatch book shows how screen printed transfer colors appear once printed and applied with a heat press. 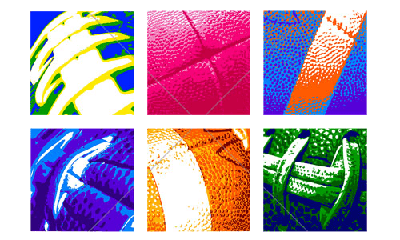 The Rhinestone Color Chart shows exact rhinestone colors available for ordering. 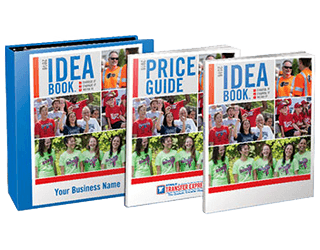 Save money by ordering both at the same time with the Combo Color Charts. 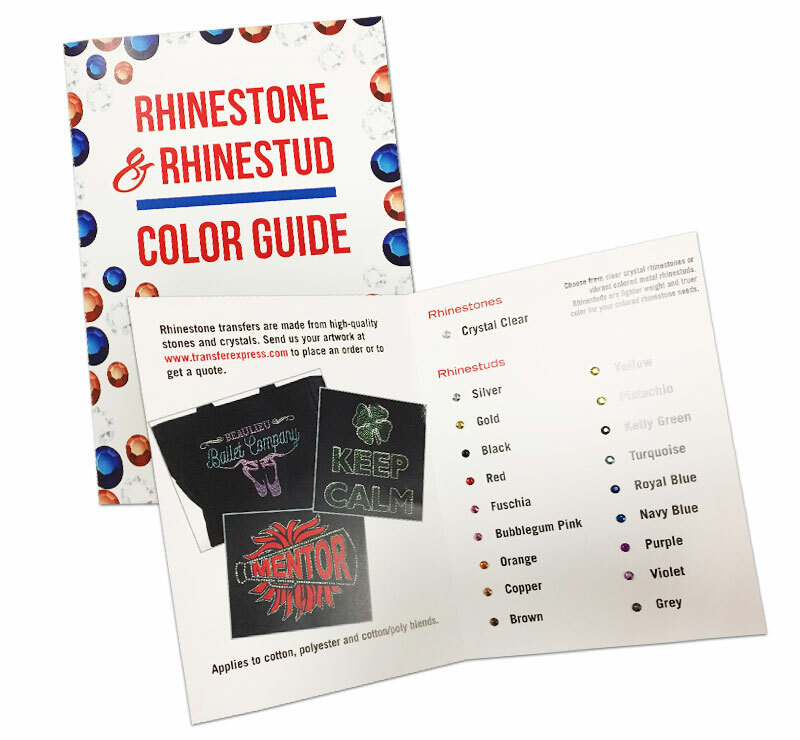 Get both the screen printed ink Apparel Printing Color Selector and the Rhinestone Color Chart.